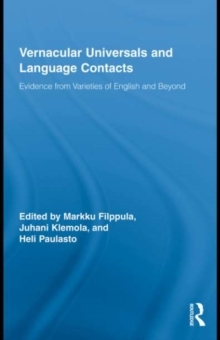 In this book, contributors have been brought together to discuss the role of two major factors shaping the grammars of different varieties of English (and of other languages) all over the world: so-called vernacular universals and contact-induced change. 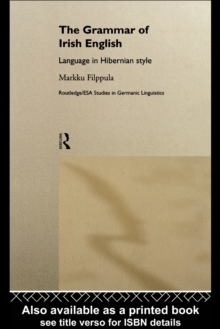 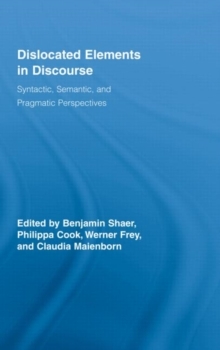 Rather than assuming a general typological perspective, the studies in this volume focus on putative universal vernacular features - significant phonological or (morpho-) syntactic parallels found in non-standard varieties of English, English-based Creoles, and also varieties of other languages, all of which represent widely differing sociolinguistic and historical backgrounds. 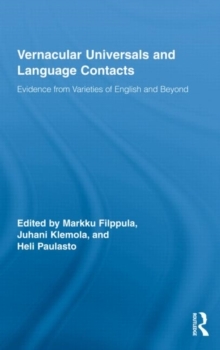 These universals are then set against the other major explanatory factor: contact-induced change, by which we understand both the possibility of dialect contact (or dialect diffusion) and language contact (including superstratal, substratal and adstratal influences).